Music fans have always reserved the right to identify with the popular artists of their time while harshly judging the tastes of the generations that follow them. Those who came of age during World War II had Frank Sinatra, and they recoiled in horror when children of the 1950s embraced Elvis Presley. Today’s highest-earning musicians reflect the tastes of two of the largest generations alive in America, baby boomers and millennials, but their tastes are fairly complementary. The influence of baby boomers and millennials on music is the subject of today’s post, which is part of a series that examines the broader themes evident in the Forbes ranking of 2015’s highest paid musicians. Many of the names on this list, ranging from the Rolling Stones to Justin Timberlake, reflect the collective tastes of baby boomers and millennials, who comprise 158.5 million Americans, or about half the total U.S. population. (Millennials overtook baby boomers as the largest age block in 2015.). Both groups continue to influence American culture even as more baby boomers age their way out of the work force each year. The top earners of the baby boomer era — Jimmy Buffett, the Eagles, Fleetwood Mac, Garth Brooks, Elton John, Toby Keith, Paul McCartney, and the Rolling Stones — represent the last gasp of an age when musicians could build careers by releasing million-selling albums and then touring to boost the album sales. They are all white, reflecting the whiteness of the baby boomer generation. They have also learned to adapt to the new music rules in which recorded music supports tours, not the other way around. None of the baby boomer rockers have had any hits in years, although most of them still record. No matter. They all tour extensively. The top-selling baby boomer act, the Eagles, earned $73.5 million from the appropriately named History tour. Whether the Eagles will ever tour again without cofounder Glenn Frey, who passed away January 18, remains an open question. Other baby boomer acts such as Paul McCartney wisely chose to play festivals such as Lollapalooza, where they kept their music relevant to millennials and digital natives. Ironically, one baby boomer band — the Grateful Dead — had a huge year by not adapting to any modern-day rules. By reuniting for Fare Thee Well gigs at Levi’s Stadium and Soldier Field, the Dead relied on the reputation of its live performances, which have always been central to the band’s appeal and revenue streams for decades. In July 2015, the Grateful Dead earned nearly as much money during a single concert set as Dr. Dre did for the year. Their Fare Thee Well concerts in Chicago earned the distinction of being the top-grossing concert set of the year, earning more than $30 million for three shows that attracted more than 210,000 people. Due to the method Forbes uses to compile its list (tracking money earned from June 2014-June 2015), the Fare Thee Well shows did not count for the 2015 list but might be enough to propel the Dead into the list for 2016 — which will probably be true for another baby boomer act, Madonna, whose lucrative Rebel Heart tour concludes in March 2016. The Rolling Stones — the quintessential baby boomer act — earned their $57.5 million by playing only 22 shows. By contrast, Ed Sheeran played seven times as many dates but slightly less. It’s impossible for the Rolling Stones to have an unsuccessful tour at this point. Watching the Stones in concert is like witnessing rock history. To their credit, the Stones are polished and professional, reflecting the tightness of a band that has played together for decades. But the Stones have a problem. Attending a Stones concert is so expensive that only people with a lot of disposable income can afford to attend a Stones concert — typically a baby boomer audience. But a pair of millennials on a date? Out of the question. 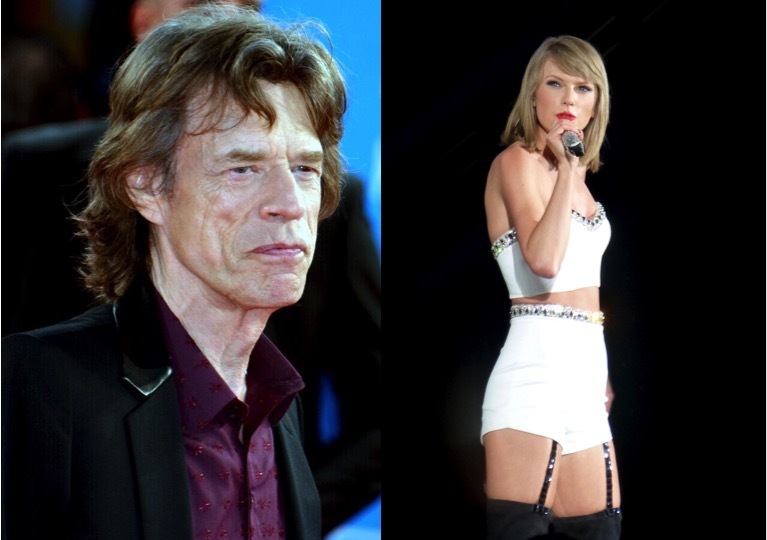 Consequently the Stones are reinforcing their popularity with an already established fan base. The Stones are vulnerable to becoming like Elvis — caught in a permanent time warp, appealing only to an aging audience. Millennial-era artists, on the other hand, reflect the atomization of musical tastes that has characterized popular music at the expense of rock. Ed Sheeran, One Direction, Bruno Mars, Katy Perry, Taylor Swift, and Lady Gaga are pop artists but with radically different styles. Justin Timberlake sings a blend of dance, R&B, and pop. Beyonce carries the flag for R&B, Calvin Harris is a dance DJ, and Drake is an amalgam of rap and R&B. Like the baby boomer bands, the millennial-era artists thrived by touring, touring, and more touring, along with money earned by endorsing other brands and, in some cases, offering their own branded products. Lady Gaga has been hawking Fame perfume since 2012. Justin Timberlake sells his own brand of vodka, Sauza 901. But touring is their mainstay. Katy Perry played 126 shows and earning $2 million per venue. Taylor Swift earned millions for just one show during her 1989 tour, and One Direction grossed more than $200 million with its On the Road Again Tour (as with the Grateful Dead, Forbes did not count all that money from On the Road Again in tabulating its rankings for 2015). Meantime, the preferred concert festival of the millennial set, Coachella, blew away all other concert festivals by grossing $84 million spread over two dates, April 10-12 and 17-19. To put those numbers in perspective, the second-most popular festival of 2015, Outside Lands Music and Arts Festival, earned $24 million. All the millennial-era artists are actively recording, with Drake, Ed Sheeran and Taylor Swift being the exceptional talents who can still sell albums in large volumes. And the viral effect of digital has made it possible for some millennial artists to experience meteoric rises, falls, and rebounds within a matter of a few short years. Lady Gaga exploded in popularity in 2009, but by early 2015, pundits such as Lauren Duca of The Huffington Post were asking, “Lady Gaga was the biggest pop star in the world. What happened?” as her music seemingly lost its luster. Well, in 2015, Lady Gaga earned $59 million — that’s what happened. Like most of the artists on the Forbes list, she earned most of her money from touring, where her over-the-top brand shines, as well as commercial ventures such as her Fame fragrance. And she has a new album on the way in 2016. Audiences for artists from the baby boomer and millennial generations are more unified in their tastes than generations past. One reason is that there are no popular musicians driving a wedge between the generations as Elvis did. Millennial-era artists do not represent a radical departure from baby boomer tastes in the way that the Beatles were, say, a disruption of American popular music in 1964, when Meet the Beatles! overtook The Singing Nun as the most popular album in America. Even hip-hop and EDM, usually identified as the bane of baby boomers, are fairly mainstream now. A baby boomer can cringe at Kanye West while embracing Eminem, Drake, or Macklemore. Rock has always been a melting pot of musical forms. Even as rock loses its grip commercially, it casts a giant shadow artistically. Many legends from the baby boomer era are popular among millennials. David Bowie’s recent death from cancer at age 69 resonated with baby boomers and millennials alike. As noted, the Coachella festival has been a popular stop for baby boomer acts such as AC/DC and Paul McCartney, giving them street cred with millennials while giving millennials a chance to experience the music their parents introduced them to. Interestingly, sales of back-catalogue albums outsold new releases in the United States in 2015, and although no one knows exactly why, one reason cited is that younger consumers, fueling the vinyl revival, are choosing classic rock albums such as Pink Floyd’s Dark Side of the Moon. It could be just a matter of great music transcending the generations, but this axiom does not always hold true as with revolutionary artists such as Elvis who lack contemporary coolness despite their greatness. Years from now, when some blogger decides to analyze this list, Lady Gaga, Katy Perry, and Taylor Swift will represent a time gone by. However dysfunctional the music industry can seem, music retains an object of fascination. Who can say with any certainty what kind of artists will earn the most money in 2035? This entry was posted in Music and tagged Baby Boomers, Coachella, David Deal, Ed Sheeran, Elvis Presley, Forbes, Grateful Dead, Katy Perry, Lady Gaga, Lollapalooza, millennials, One Direction, Paul McCartney, Rolling Stones, Superhype, Taylor Swift, Zack O'Malley Greenburg. Bookmark the permalink.